Welcome to The Cottage Gallery, Wedmore... British art at its best ! Located in the beautiful, bustling village of Wedmore - a conservation area of course. 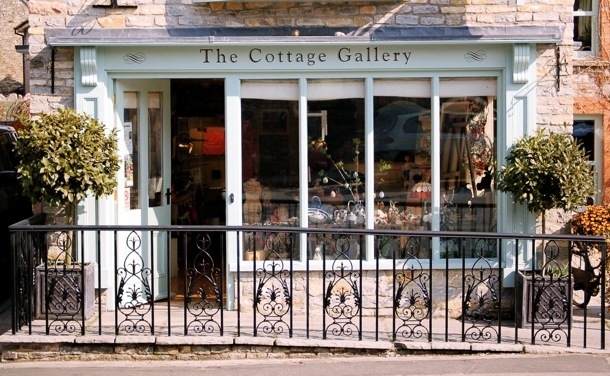 The Cottage Gallery is formerly the site of the old village garage ( complete with petrol pumps ), nowadays it is cram packed full with possibly one of the most eclectic mixes of any Gallery you will ever visit. All British Artists work it offers bronze, paintings, pottery, , jewellery, textile and wood. Once visited you will be sure to return as this Gallery has built a reputation for inspirational art no matter what your taste or your pocket. Open : Monday to Saturday 10:30am to 4:30pm.